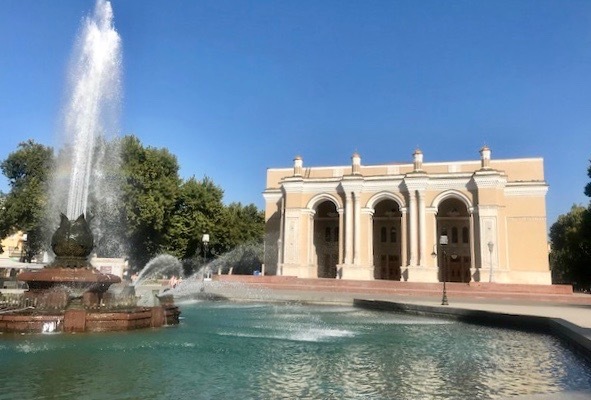 Tashkent Opera House. © Fred Lundahl. What has happened to Uzbekistan? Recent headlines note it is “one of the 12 happiest places in the world”. Lonely Planet lists it as one of the three “must see” destinations of 2018. Another notes it is “one of the ten safest places to travel”. Best Friends Mohammed and Abdullah. © Fred Lundahl. 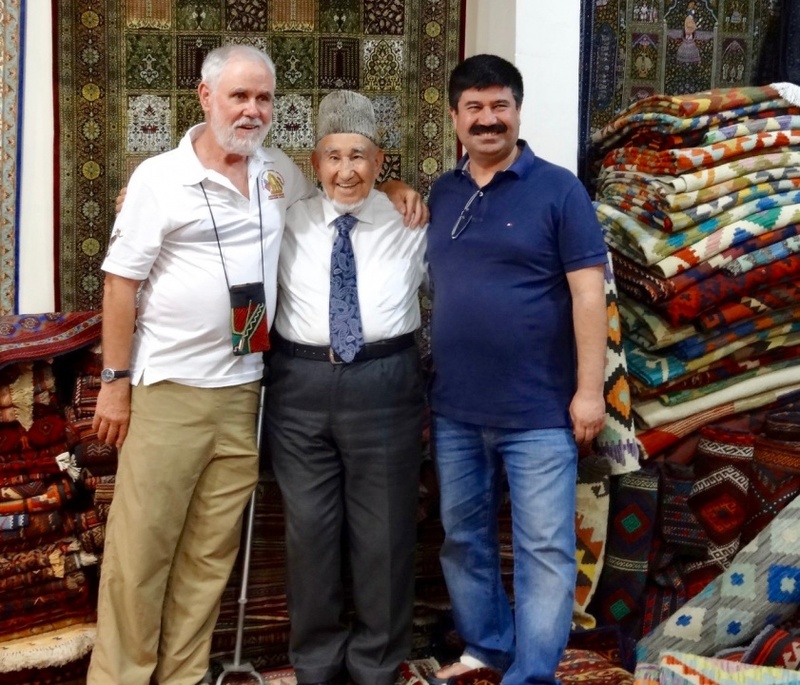 Fred recently traveled to Uzbekistan with a small Seattle/Tashkent Sister-City delegation celebrating the 45th anniversary of the oldest sister-city relationship between a Soviet and a U.S. city. He was flabbergasted. Sheep Barbecue. © Fred Lundahl. 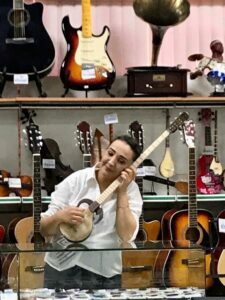 handicrafts, Uzbekistan had always been a Soviet-style dictatorship that clamped numerous restrictions on both tourists and its own people. 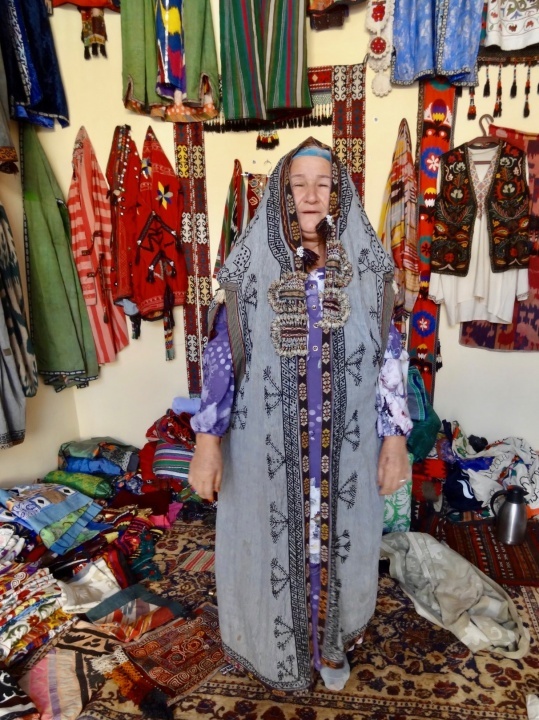 This might have made it safe to travel, but it didn’t make it much fun to be an Uzbek. Then the long-time dictator President Karimov died. In the 20 months since that momentous event, the new president, former Prime Minister Shavat Mirziyoyev, swept aside the old order. He sacked ministers, imprisoned senior officials for corruption and torture, and virtually removed the entire entrenched bureaucracy. He replaced the corrupt system of bureaucrats with modern, western-educated officials with backgrounds in business. Fred and Favorite Melon, Denia. © Fred Lundahl. Mirziyoyev de-clawed the notorious KGB, sacked or imprisoned its senior officials and even changed its name. He held contests to change the old Soviet-style uniforms of various police forces. In a largely Moslem country plagued by a small fringe of radical islamists for decades, he has allowed moderate Islam to bloom. Now women can wear headscarves if they wish (although few do). The call to prayer is now allowed from mosques around the country. Mirziyoyev has ended Soviet-era rules for registration of your place of residence and has encouraged domestic travel and tourism. The recent Independence Day celebrations took place in neighborhoods, rather than in a central, massive, hours-long show. The people enjoyed the day, rather than the officials, and the government gave a week-long 50 percent discount on all national transportation. Even without that extra benefit, local travel is more affordable. A new bullet train shortens the former six-hour train trip from Tashkent to Samarkand. It now takes two hours (at 230 kilometers per hour) and costs $ 8.00. Within the next year or two, these new bullet trains will service the entire country. Ironically, all this domestic tourism has made it more difficult for the exploding number of foreign tourists to grab seats on the bullet trains. Now foreign travelers can apply for e-visas and pick up the visa upon arrival. No more need to send your passport off to an embassy for the visa. Instead of the old frowning scrutiny of incoming visitors and luggage searches on the way out, the new expanded international terminal has a hugely increased staff of smiling immigration officials who welcome you to Uzbekistan and thank you for visiting when you depart. Taking Pictures in Tashkent Metro. © Fred Lundahl. 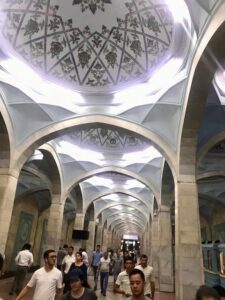 The large numbers of foreign tourist groups were probably not aware of the huge significance of being encouraged, rather than arrested, for taking photos in Tashkent’s stunning multi-themed metro stations. Yet another example of change is the new “tourist police!” Statuesque young men and women in green uniforms wander around tourist locations genuinely assisting tourists with language help and tips on what to see. They willingly pose for thousands of tourist photos. New “Tourist Police”. © Fred Lundahl. 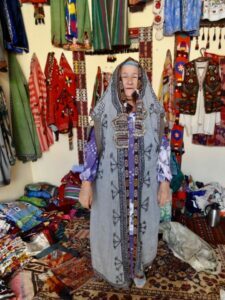 A very personal example of this change for the better happened to our favorite handicraft market in the small town of Urgut. In the early 2000’s the dictator’s notorious daughter closed the old Urgut market. She and her cronies built a Chinese-style mall in place of the market and forced the handicraft sellers, who couldn’t afford to rent stalls, out into the muddy parking lot. In the last year, however, the government has now provided the local handicraft sellers with their own covered, rent-free kiosks alongside the mall. The only cost is for them to belong to the regional handicraft guild. Renovated Urgut Market. © Fred Lundahl. Mirziyoyev is also making good on his promises to mend broken ties with Uzbekistan’s neighbors. Fred had a chance to chat with 15 museum curators from different “-stans” who were happily attending a U.S.-government sponsored workshop run by the University of Chicago. The attendees said that this was the first time they had been in the same room since the Soviet Union broke up. 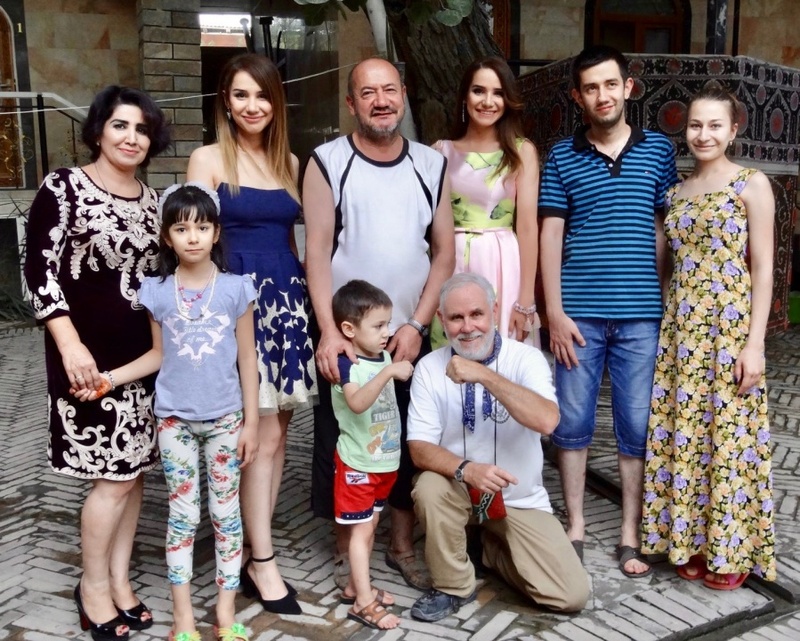 One of the Uzbek participants said that his life had improved more in the past 20 months than in the previous 20 years !!! What a wonderful article about an inspiring turn of events. Thank you for educating us! It is wonderful to hear news of change that is so positive! Amazing what an intelligent, honest leader can do. That is wonderful news! 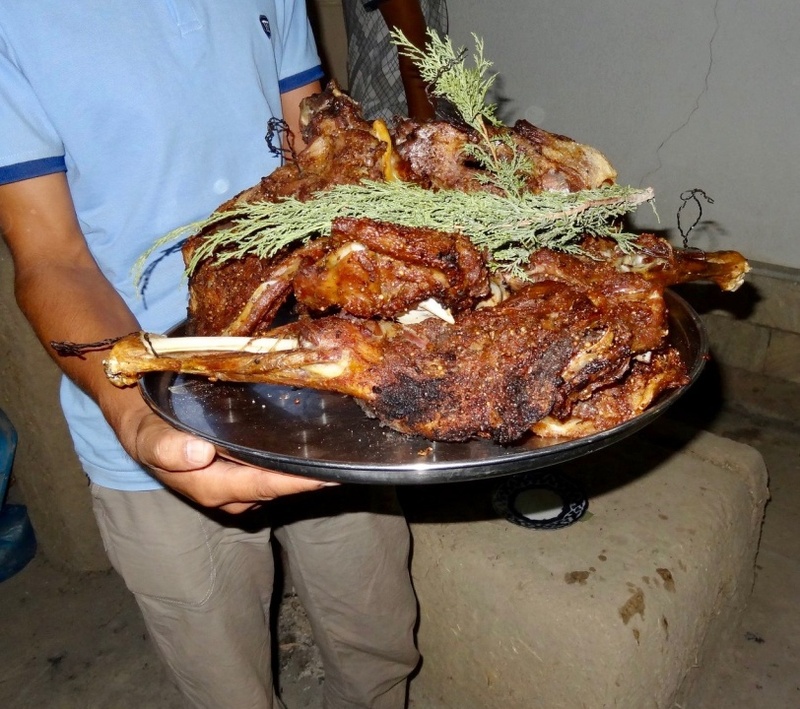 Makes me want to go back to Uzbekistan…. Thanks! Well done. I will send to Don Nicholson if I can gfind his address. Although it might have been interesting to see the old ways there, it seems it is time to go: far more fun, and faster! Thank You. Your post is full of exciting news.Not being a” world traveler” myself,I found the information to pique my interest. Specifically in a country that sounds to be moving forward for the betterment of the people and therefore in the world at large. Good for the Uzbeks sacking the old order and joining the 21st century! Must have been much fun Fred seeing these great changes in your old friends. Love reading your insights, Fred! Thank you for sharing this positive view. The “stans” are on my list of places to experience and visit. Looking forward to Sunday’s Fred Talk. I didn’t know you could do all those things on horseback. What a wonderful description of how the country has transitioned into an amalgam of cultures. Alrhough Eastern European former Soviet countries struggle more financially, there is inspiration here for what could happen in those places. Thank you for sharing your experiences there! Thank you! I haven’t been back in 18 years and this is good news. OK, Fred. You have given us another destination we will have to visit before we die! What a great story! 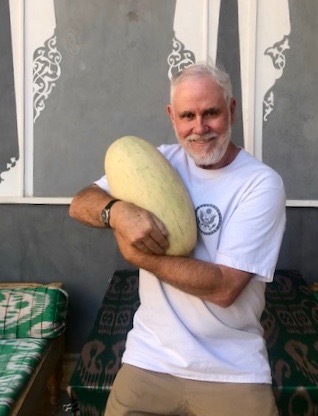 So happy for the Uzbeks and for visitors who will now (more easily) be able to experience this wonderful country. And fantastic news for local handcraft artists who can preserve skills and arts and culture that might otherwise have been lost in modern consumerism (cheap, short-lived products). I always learn something new from your posts, Fred & Sharon. Thanks for expanding my world view. Excellent piece Fred. I’m inspired and feel more hope for all of us on the planet. Looking forward to reading your next article! Incredible! That’s wonderful to hear! Thanks for telling their story. Sorry for the late post. My wife and I so enjoyed the Fred-talk on the nomad games. He mentioned US forces there training the Kyrgy armed forces. I read somewhere that there was an Al Qaeda linked movement among the minority Uzbeks in Kyrgyzstan. Wanted to ask if that was the purpose of US forces there, but my wife and I had to leave for dinner. So interesting that they are leaning to US for help instead of Russia. I also find it interesting that Uzebekistan appears headed in another direction. Can you comment?